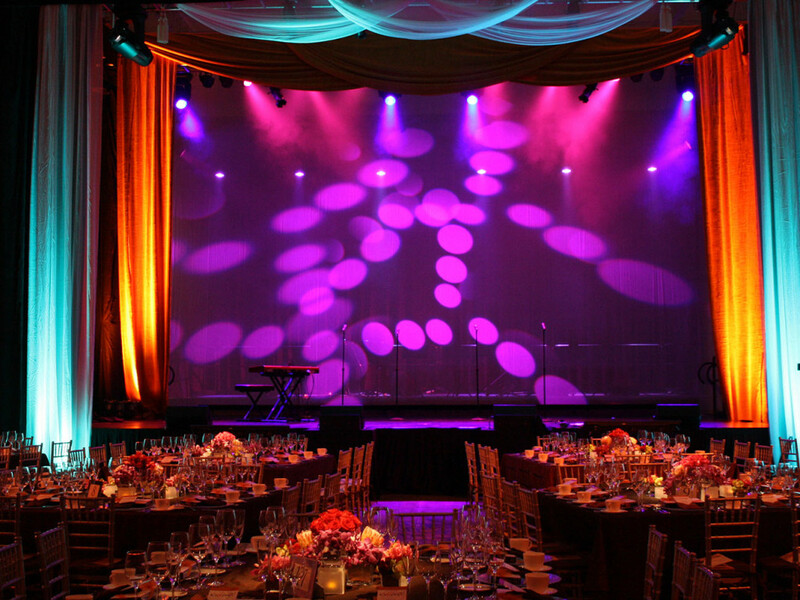 AOO Events is an experiential event design and production company with strategic partnerships around the globe. 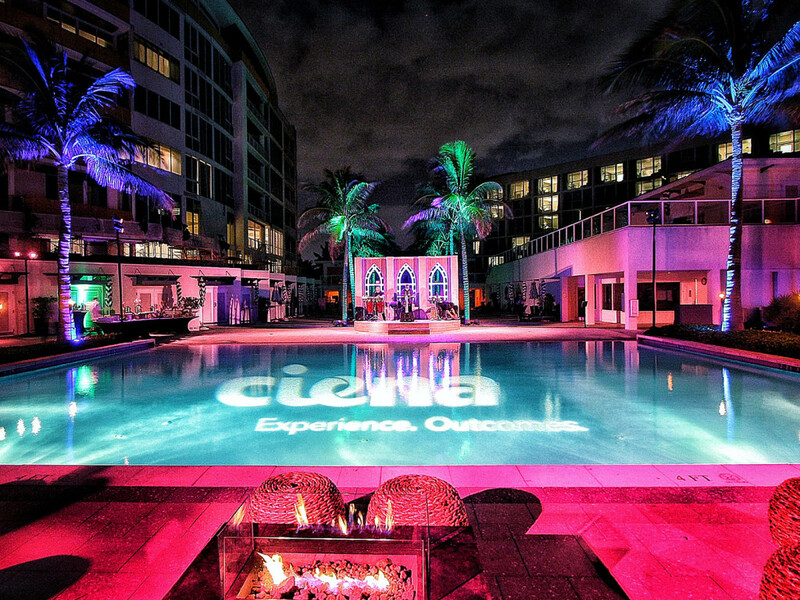 We develop dramatic, award-winning and immersive experiences for our social, corporate and non-profit clients. Our brand strategy integration, along with unparalleled logistics engages even the most discerning audiences and creates lasting impressions for years to come. When a network strategy and technology company repositioned its brand before a sales event for 900 attendees, we were tasked with conveying the message and motivating the sales force. Immersing everyone in the brand experience and the new tagline “Experience. Outcomes.” meant ensuring that the message was not only seen but felt through heightened elements of design from start to finish. What is an event but a series of unexpected delights? The experience weaves them through expertly from beginning to end. Or in the case of this black tie, corporate event we produced in Las Vegas, from the donut wall – always an unexpected delight— to a high-design vending machine filled with tiny bottles of Moet & Chandon! 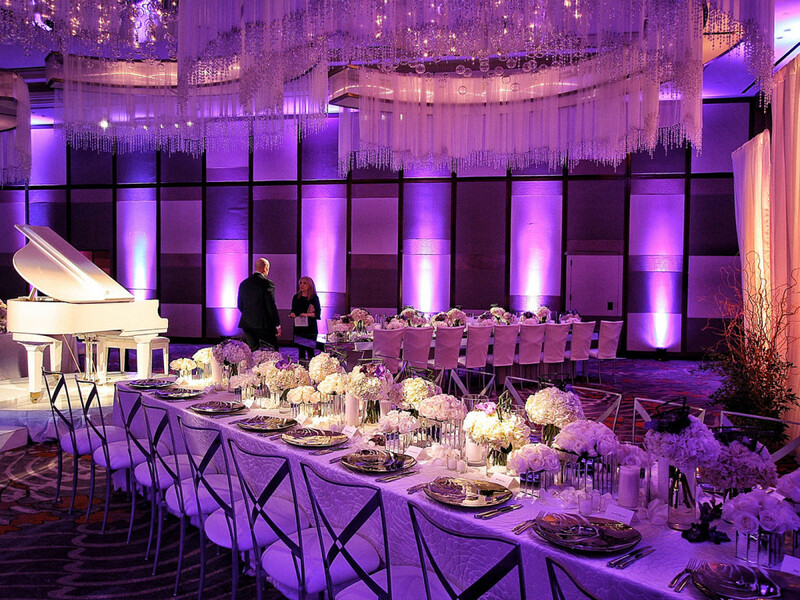 Other delights included a vee setting for the dining tables that made the white grand piano and performer the center of attention, a beautiful ribbon chandelier and splashes of lighting texture on the walls. The grand opening of the luxury, five-star Intercontinental Hotel featured four different experiences across 73 hotel floors for a distinctly Los Angeles event. 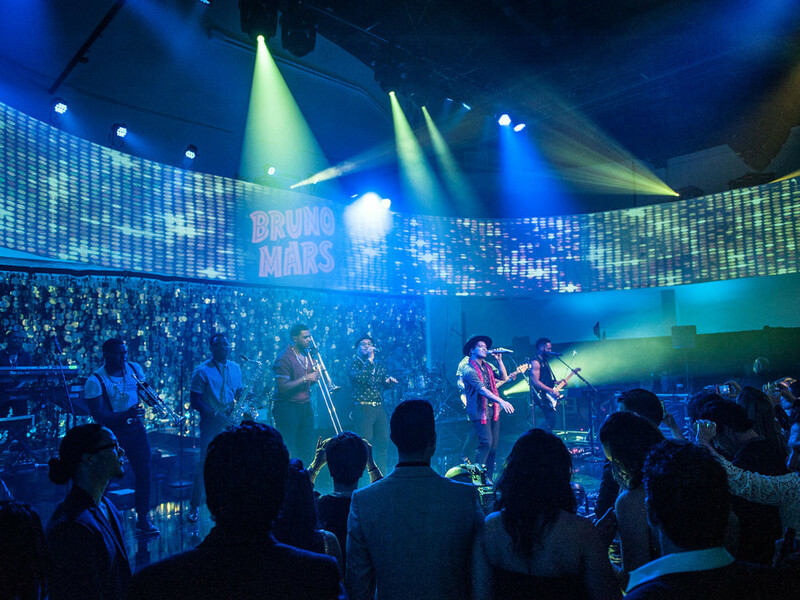 LED wristbands were used to signal guests to move through experiences designed to envelope guests in the luxury lifestyle. Entertainment was designed to enthrall. It was fitting that attendees of this special dinner were immersed in huge, beautiful images of Los Angeles. Why? 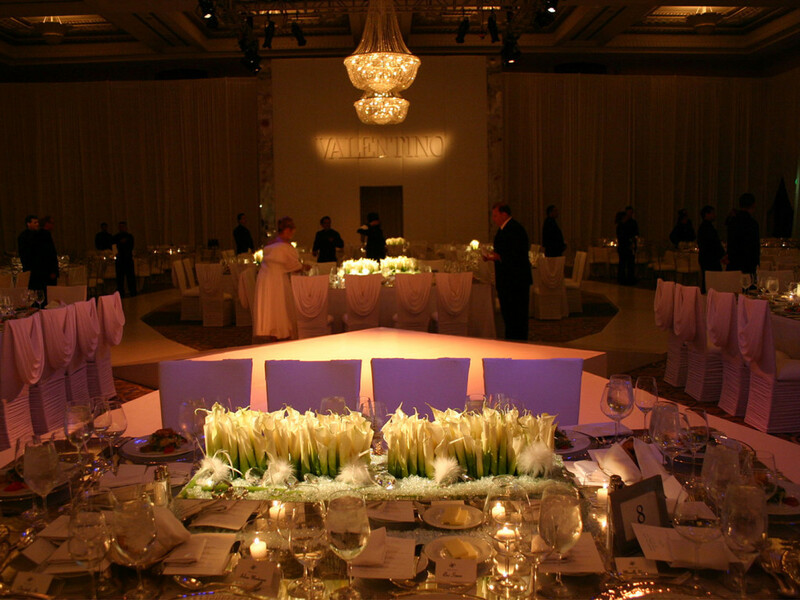 Because this event, held at the Intercontinental Hotel Downtown was the Inaugural Dinner of the Los Angeles Chamber of Commerce. 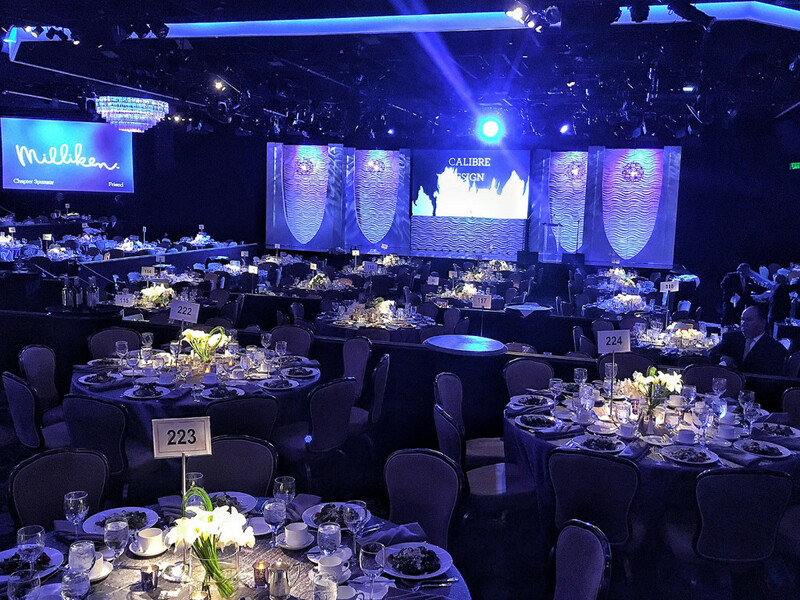 Our vision for an awards show for 900 interior designers at the Beverly Hilton was to bring all the elements together that the audience might use as they ply their craft. Only we took it up several notches. 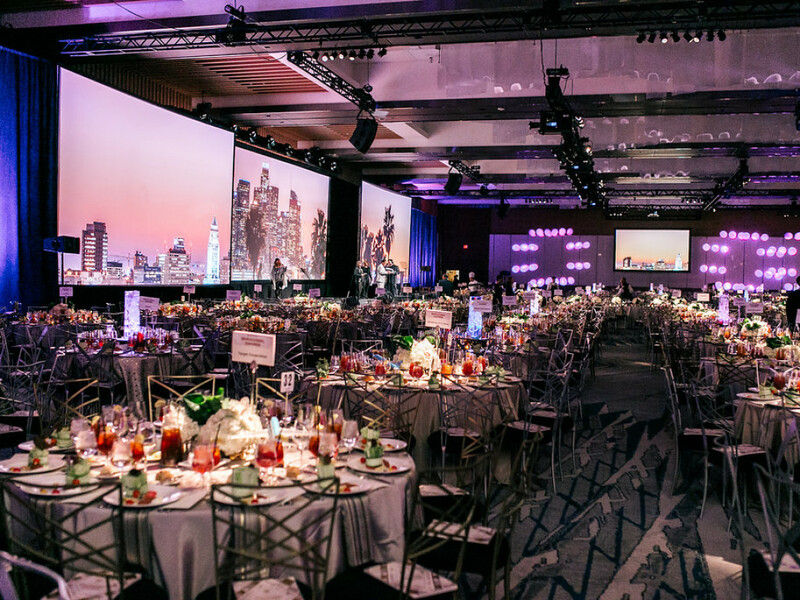 A stage filled with texture and style, a dining table set with shape and color, and a room filled with lighting that brings out the best in everyone and everything were just a few of the tricks of the trade that made these award winners comfortable in their surroundings. Titled Une Nuit de Couture, this evening of fashion swept in with a breath of fresh air and a flourish of contemporary style. We picked up the clean lines of the venue, the Riviera Country Club, creating a clean and contemporary backdrop for tables awash in gold sparkle and set with white flowers. 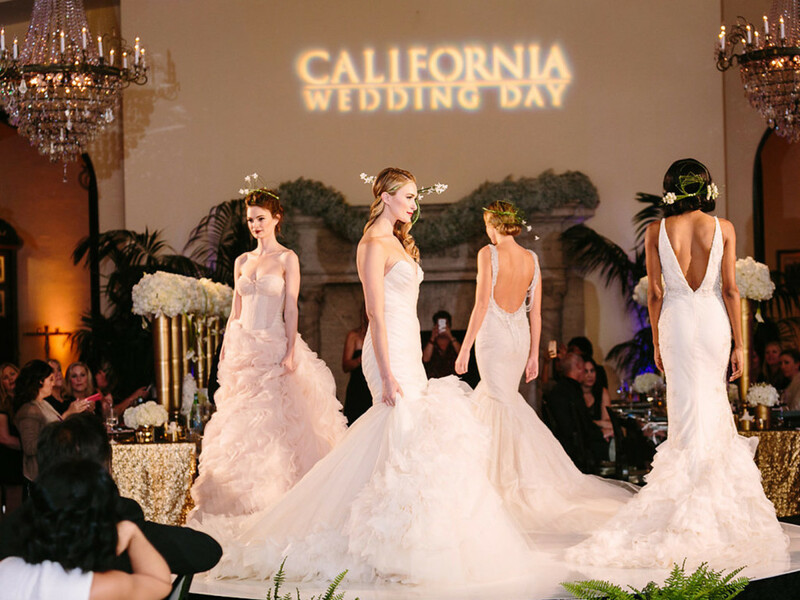 A central stage in the round was perfect for a jazz trio, an electric violin performance, and finally, a beautiful fashion show hosted by the magazine, California Wedding Day. Photos: Brian Leahy. A California wedding nestled in a mountain setting played to the inner wood nymphs in this couple. 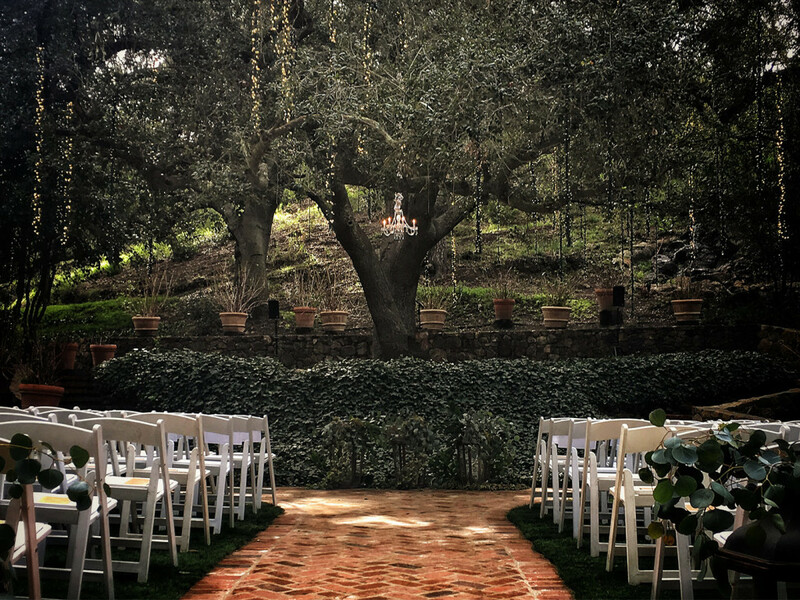 It was clear that nature was the most important guest invited to this wedding so we worked with our in-house floral designer to construct an event filled with flowers that looked as though they could have been picked from the property that morning. Rustic wood décor elements completed the feeling of a time-worn yet classic mountain chalet. After an outdoor ceremony under the shadow of majestic Utah mountains, we helped this very special couple celebrate their wedding with a reception that brought together romance and elegance with a modern touch. To mirror the lush gardens in and around the venue, we created a magical design filled with elements of nature on tables set with velvet linen and gold accents and ended with a stunning first dance under a sculptural chandelier in the venue’s atrium. 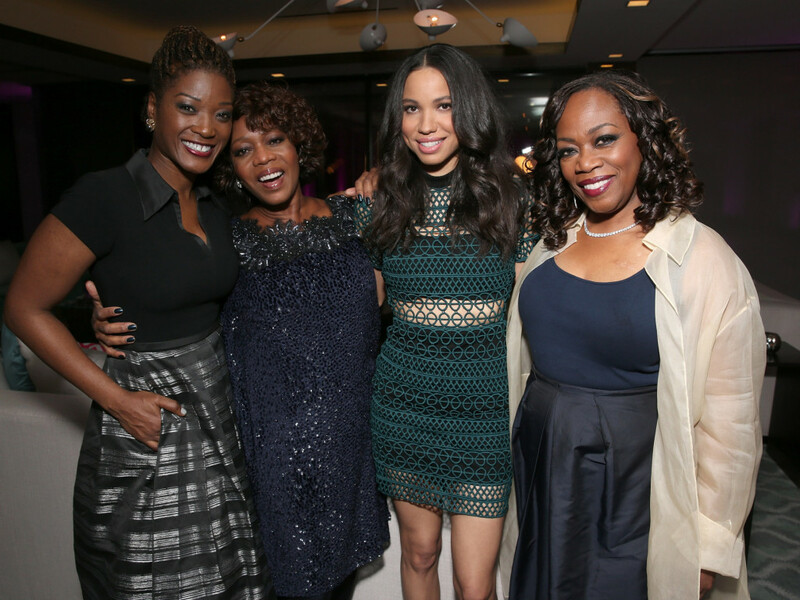 The Alfre Woodard Oscar Sistah’s Soiree has become a coveted invitation during Oscar week. We’ve been honored to design it for the past several years. 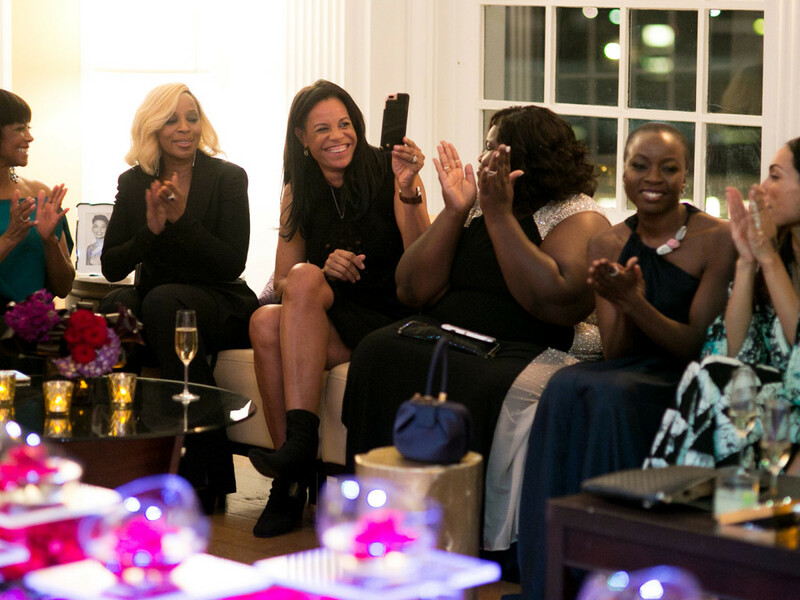 In 2018, we brought in a living centerpiece table, vintage movie posters, and unique lounge furnishes to create an intimate gathering space where there powerful women could meet, mingle and relax before the big awards day. Delta Airlines’ top marketing executives experienced slices of Los Angeles’ “Lights, Camera, Action” in three nights. From the fine food of Wolfgang Puck, the championship sports teams of LA and an American Idol finale, guests enjoyed the best of Hollywood. Starting with an elegant evening under the lights at Nokia Plaza; next, Paramount Studios’ back lot brought them in front of the camera as part of movie-making magic. Finally, they spun into action and cut loose with the World Class Rockers at Club Nokia. It was a whirlwind tour of LA’s essence and all it has to offer. The Oscars Sistahs Soiree, hosted by Alfre Woodard, is an annual dinner for African American women and women of color in film. The event provides a supportive atmosphere for invitees to be able to enjoy their time together and catch up in the week leading up to the Oscars. 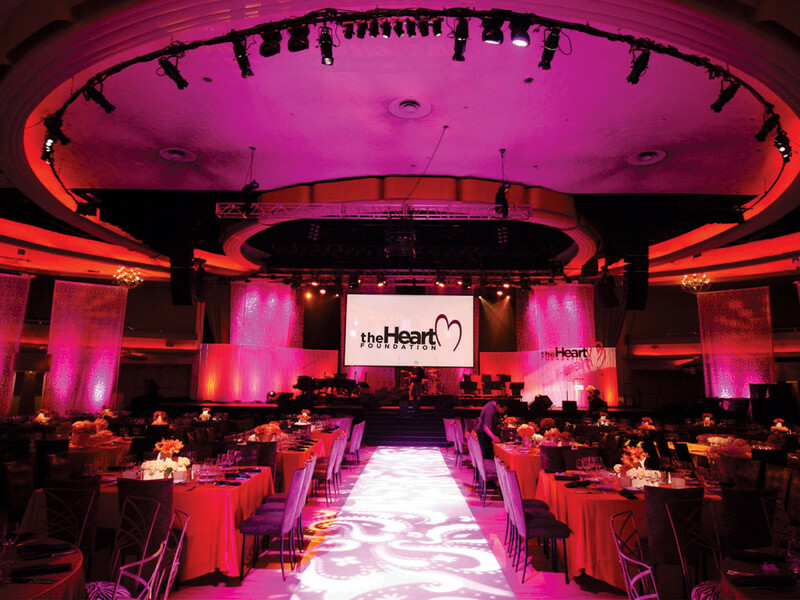 They say the neon lights are bright on Broadway, but the lights were shining brighter at the Palladium in Hollywood, California for the Heart Foundation Gala. The evening featured an all star lineup, with Ryan Seacrest as MC, funny man Dana Carvey, music icon David Foster, a surprise performance with Paul Anka, and a 60-minute finale performance featuring Michael Buble and his 12-piece orchestra. It was an evening filled with honor and celebration while raising money for a worthy cause – the fight against heart disease. 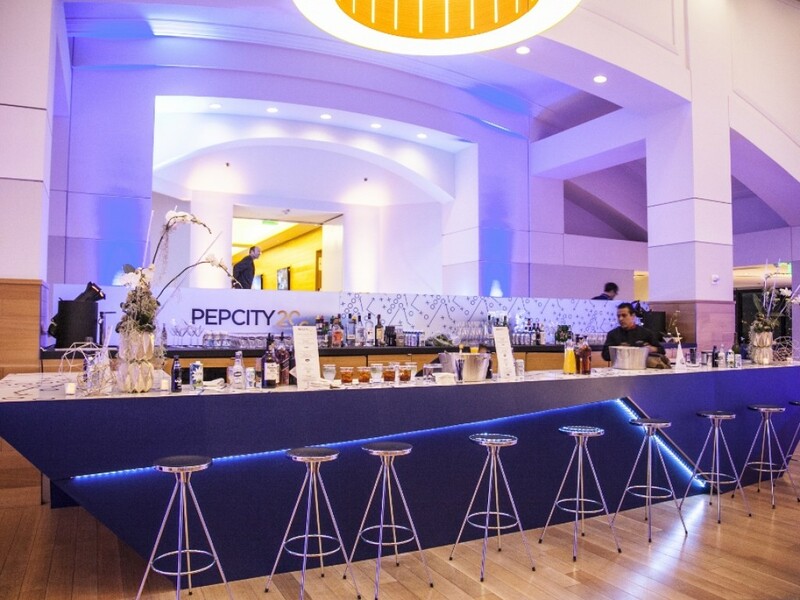 PepsiCo hosts a hospitality suite every year to celebrate the Super Bowl in the city where the game is played. In 2016, the backdrop was the 36th floor of the Grand Hyatt in downtown San Francisco. 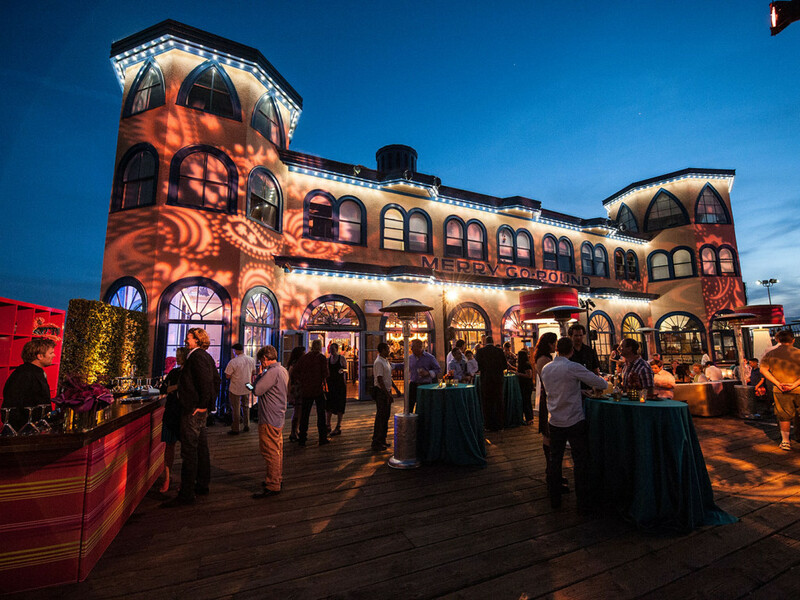 The event space occupied the entire floor and every room had a breathtaking view of San Francisco. This amazing Indian wedding married Hindu traditions with modern technology. 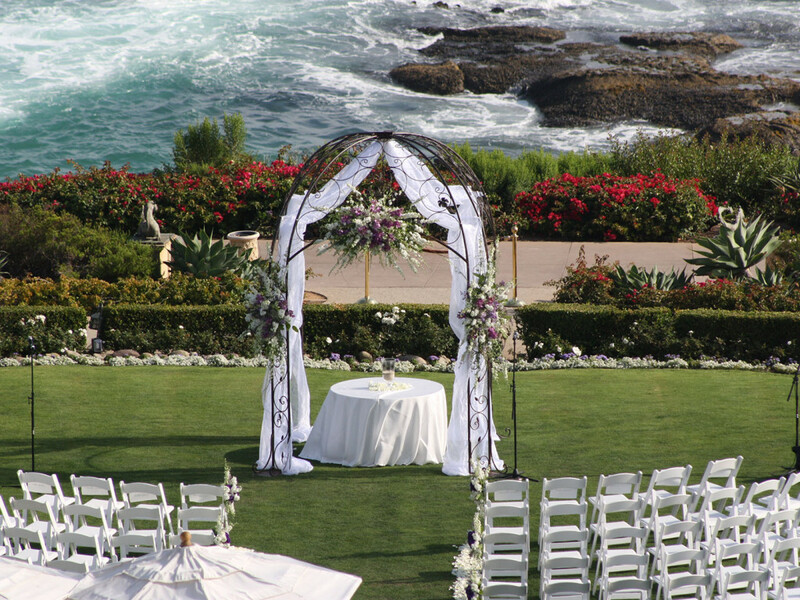 Tradition prevailed with a colorful Indian rehearsal dinner; a lively processional to introduce the two families and an elaborate ceremonial wedding overlooking the ocean. East merged with West at a reception that included a live theatrical production complete with digital mapping, video projection, music, and scenes! 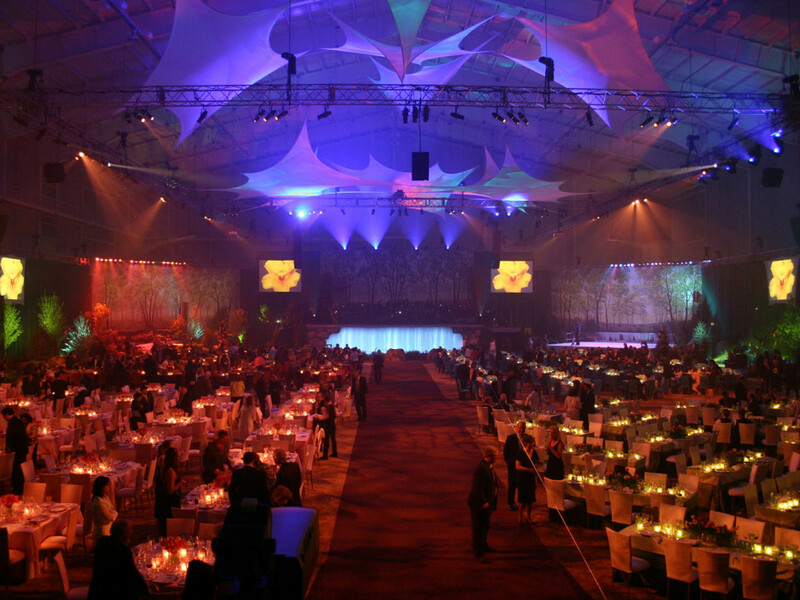 To take the World Champion Pittsburgh Steeler’s 88,000 square foot indoor training field, and turn it into an elaborate gala, themed after Frank Lloyd Wright’s, “Falling Water” house was an awesome undertaking, to say the least. “Seasons of Hope” was the theme for the evening. With more than 18 semi-trucks from over 5 states, a virtual forest was created including a virtual waterfall with a natural pond, an oversize virtual fireplace and even a “frozen” stage for a live ice skating performance! And let’s not forget LIZA! 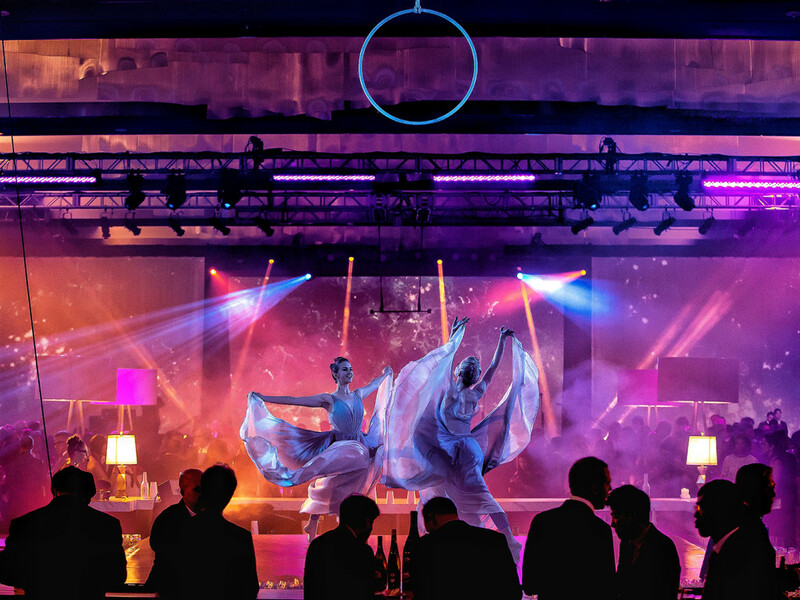 We were tasked with designing an event that would lift guests out of a traditionally business focused weekend and let them have some playtime. 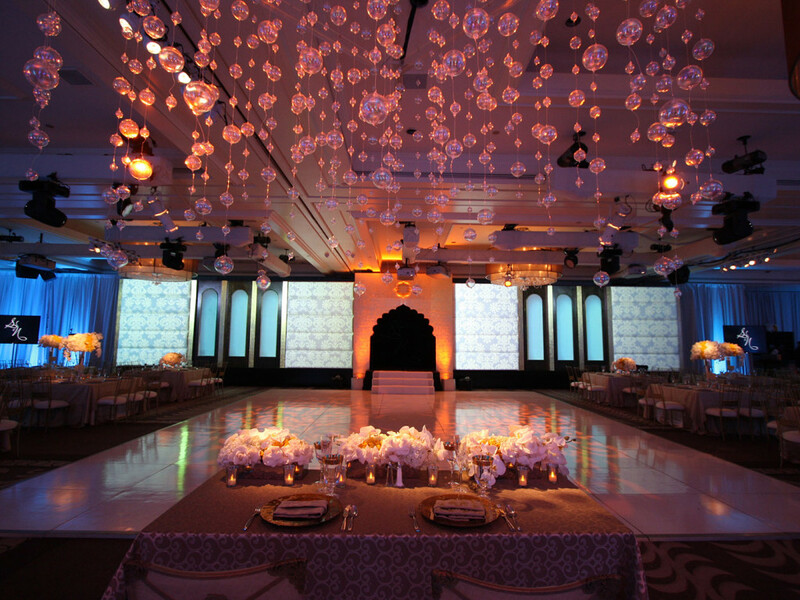 Using a blend of décor and entertainment, we created an evening that was whimsical yet stylishly sophisticated. Laaaaa-d-d-dies and gentlemen-n-n, step right up and enjoy the quirky circus! On a hot Labor Day Weekend at the Santa Monica Pier, two families became one in a unique wedding that was as un-traditional as one can imagine. As the Bride and Groom rode the carousel to wild applause, guests dined and danced under the moonlight in a unique celebration of love! This holiday celebration was gift-wrapped with a colorful twist. Our client wanted a holiday event, but didn’t want a traditional, expected look. The solution? CranTango! A celebration of a different color. 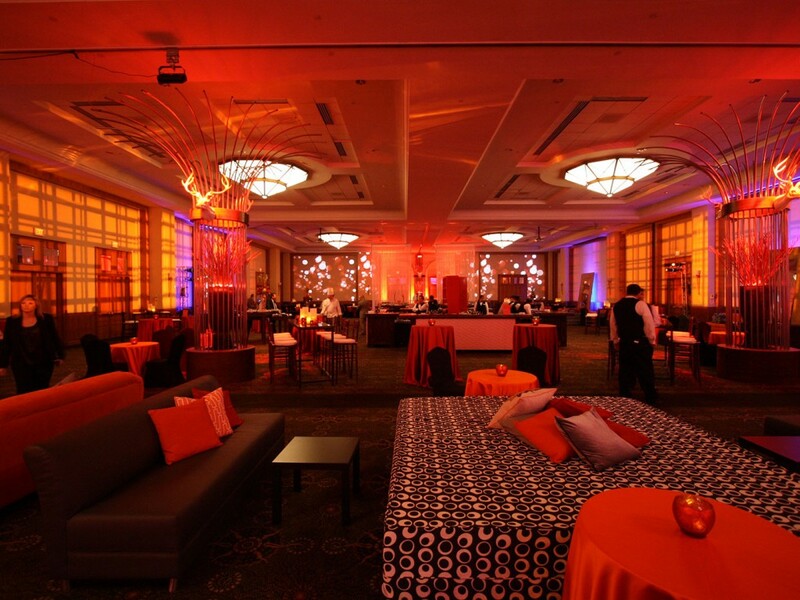 Dramatic lighting in cranberry and tangerine combined to create an event with a warm welcoming atmosphere as the ballroom appeared to be gift-wrapped from the inside out. A special destination wedding that brought family and friends from Chicago to the Pacific Shores was a true celebration of love. A unique non-traditional family ceremony was created bringing two existing families together as one at a breath-taking setting under the sun. 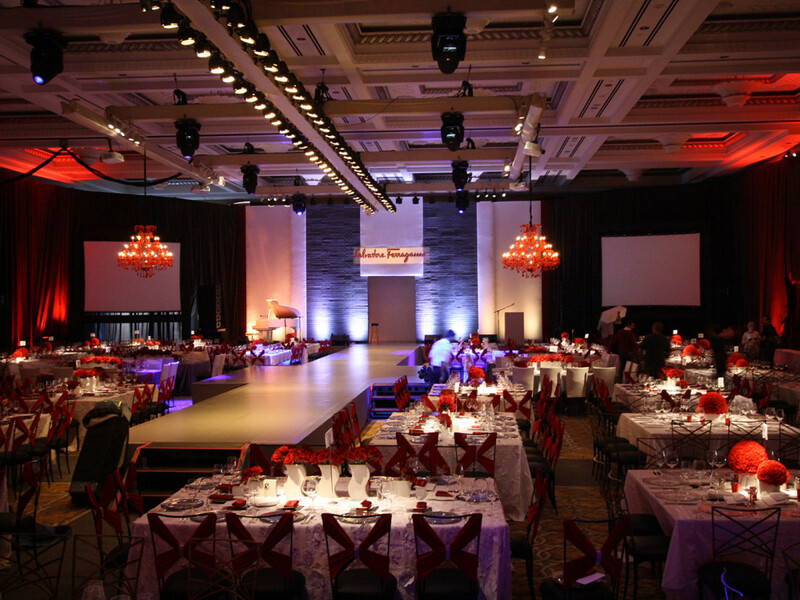 The pressure was on to create a luxurious fashion show setting for a charity event held at the Bacara Resort. Valentino was showcasing his new collection at the event and it was imperative the evening carry the brand and style for which the designer is known. 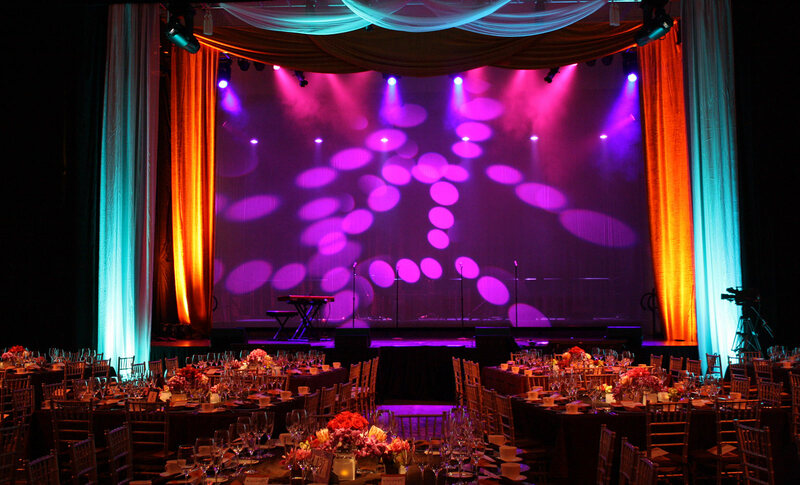 Our creative team transformed the room and created a stage branded with Valentino’s logo, a raised custom figure-8 runway that ran throughout the room and clever use of 12’ antique mirrors placed around the room so guests could see from any seat in the house. 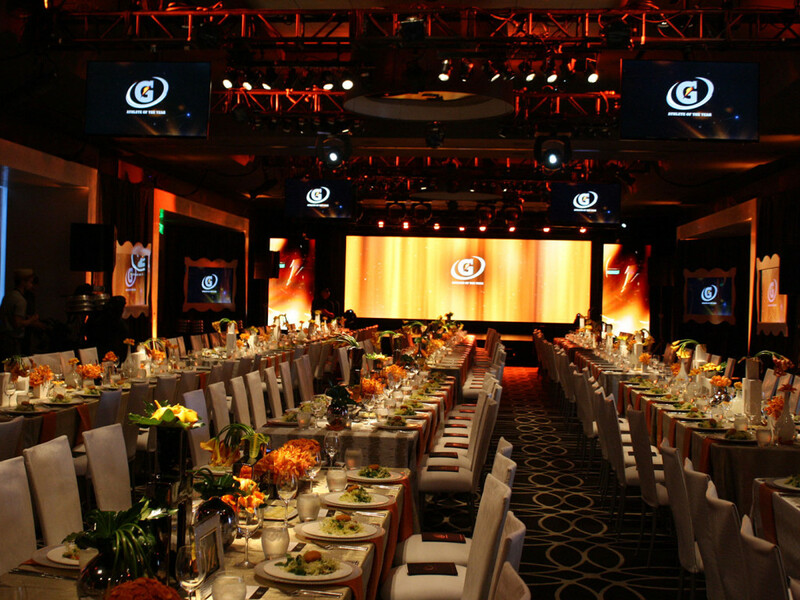 For an Annual Reception Dinner & Awards Ceremony, our team was presented with a new venue that was long and narrow with a low ceiling in which to create a branded, guest-friendly and television production quality decor environment. For a family who appreciates the “Art of Celebration” their son’s Bar Mitzvah included all his passions from Rap to Bling! 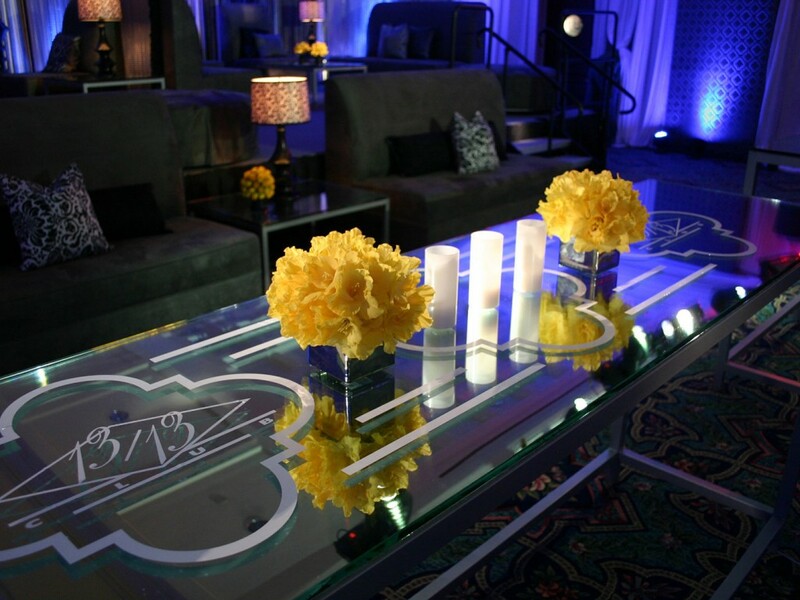 Dubbed the “13/13 Club,” we based the event on Rapper Jay-Z’s 40/40 Club in Las Vegas. 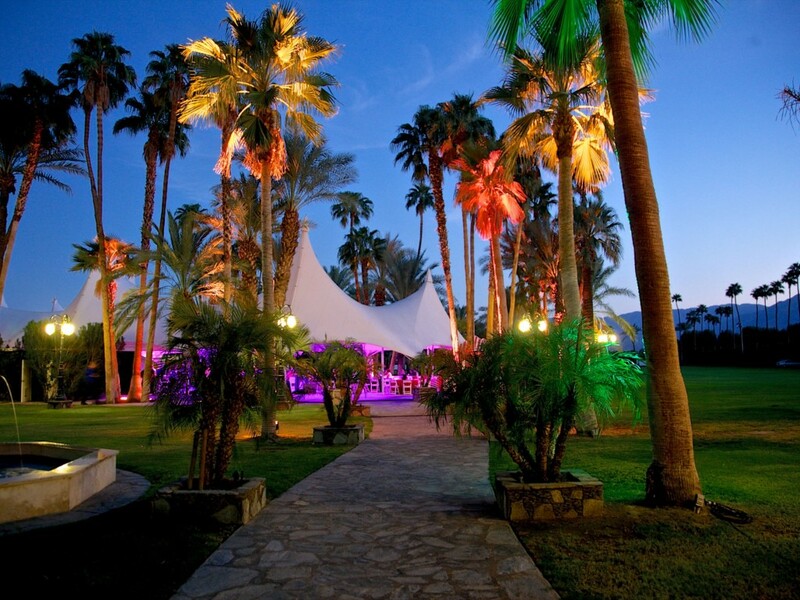 From “Bling Boulevard” to fabulous VIP décor, hydrogen walls and entertainment including MTV’s DJ Skribble and Rapper T.I. the event was pure 21st Century! It was a kid friendly environment that found common ground with their parent’s passion to party. This event truly was a labor of love! They do so much for cancer research. This high profile event was about to announce it had reached its fundraising goal and tonight was the celebration. Featuring Gladys Knight, hometown actor David Conrad, the “So You Think You Can Dance” troupe and special guest Senator Arlen Specter, this was a big night in Pittsburgh. 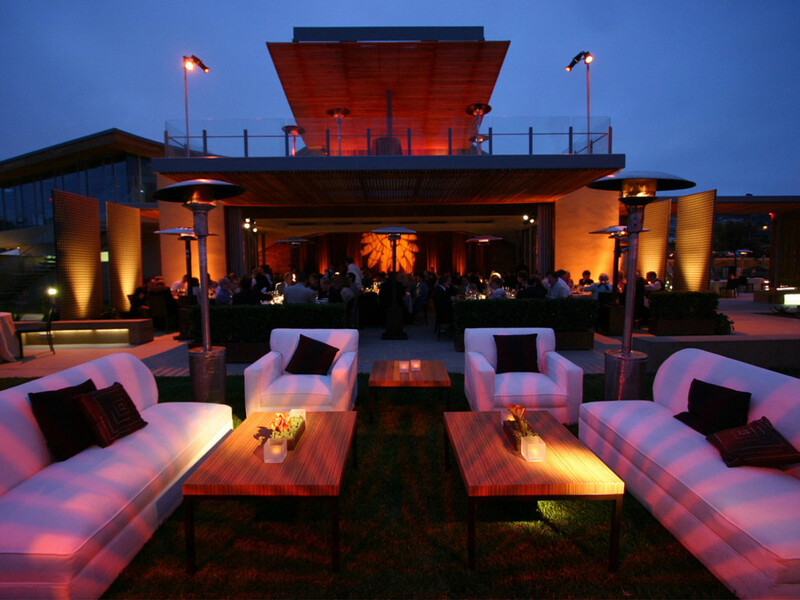 In order to create a seamless event at a world-class site, we custom designed a look that easily could have been an existing venue. Through the use of lighting, custom made furniture, floral and architectural elements we created the ambience of a first class restaurant and achieved our goal. 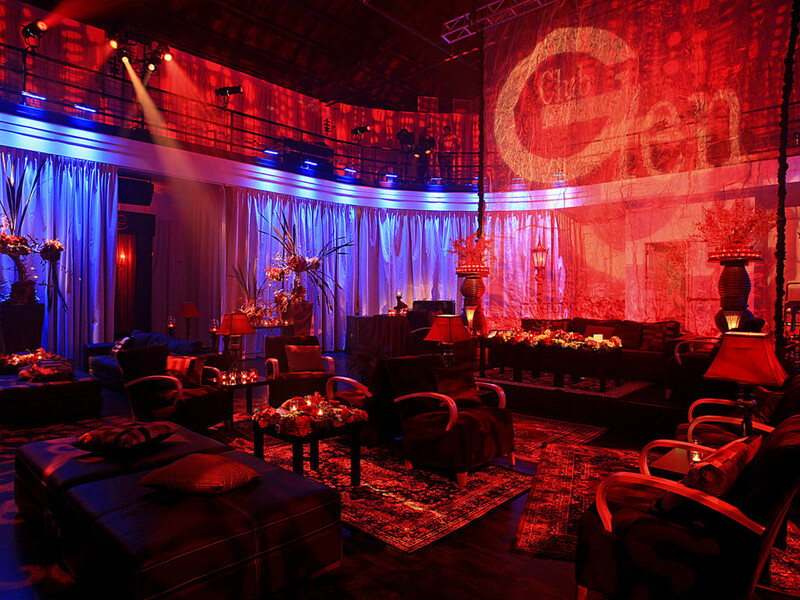 Part interior design, part event design created this wonderful environment. Although the guest list was small and intimate, this event was tackled in a big way. 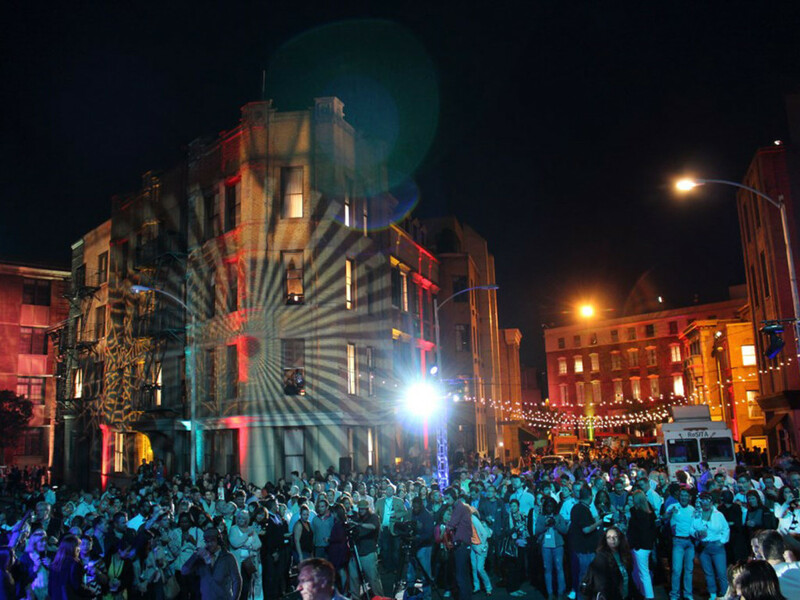 What better way to create the perfect one-of-a-kind experience than taking an existing Hollywood hot-spot and transforming it into a one-night only encounter by customizing the décor from the entrance and throughout the guest experience. 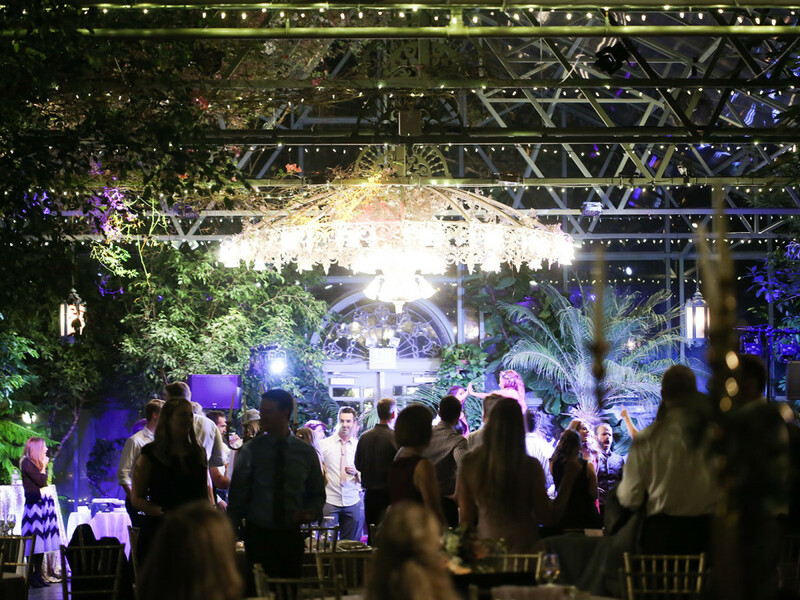 This was a one-day renovation that changed the entire venue.